Founded in 1994 and headquartered in Hazlehurst, Mississippi, National Textile is North America's largest manufacturer of protective clothing for Nuclear power, weapons, environment restoration and industrial applications. When it comes to providing protective clothing for various instances, National Textile leaves no stone unturned. Whether it is environment restoration or industrial application, we come up with the best collection of coveralls that are protective as well as trendy. We are North America’s most popular name in protective clothing supply and have been the largest provider of the same. Are you planning to barbeque this weekend, make sure that you have our special customizable chef pants and chef coats that can protect you from the heat and oils while cooking. Our collection of clothing varies from one to many categories including safety coveralls, jackets, bibs, parkas, inmate apparel, underwear, laundry bags, shoe covers, hoods, medical scrubs, chef wear, orange jumpsuits, clothing for your Halloween parties or theater events, digital camouflage coveralls,chef pants,chef coats etc. Browse our site for some of our products or email us your particular needs! 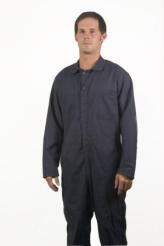 Check our work coveralls and jumpsuits in stock and buy online! -Manufacturer of work and safety coveralls, jackets, bibs, parkas, inmate apparel, underwear, laundry bags, shoe covers, hoods, medical scrubs, chefwear and more. Contact us for your custom made needs. 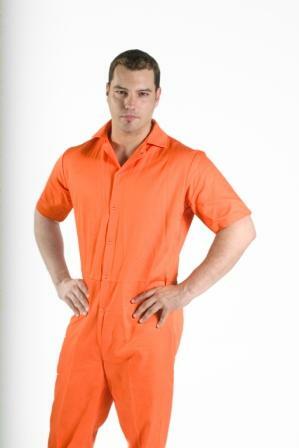 -You will find orange jumpsuits $16.00 and inmate clothing for your Halloween parties or theater events at half most other websites and retail stores. -Factory direct pricing every day on navy coveralls $19.50, and now for your hunting or paintball needs, a new digital camouflage coverall. -Find a variety of chef pants $11.50, chef coats $10.00, the highest discount in the industry. Chef pants and coats, coveralls, jumpsuits and scrubs factory direct. "Factory direct coveralls $19.50, orange jumpsuit $16.00, chef pants $11.50 and chef coats $10.00. $7.50 everyday in a variety of colors! Available in orange or black. Navy blue twill or Digitized camo rip stop poly cotton.